Photo taken on a beautiful sunny day at Sherwood Pines on 3 July 2018. 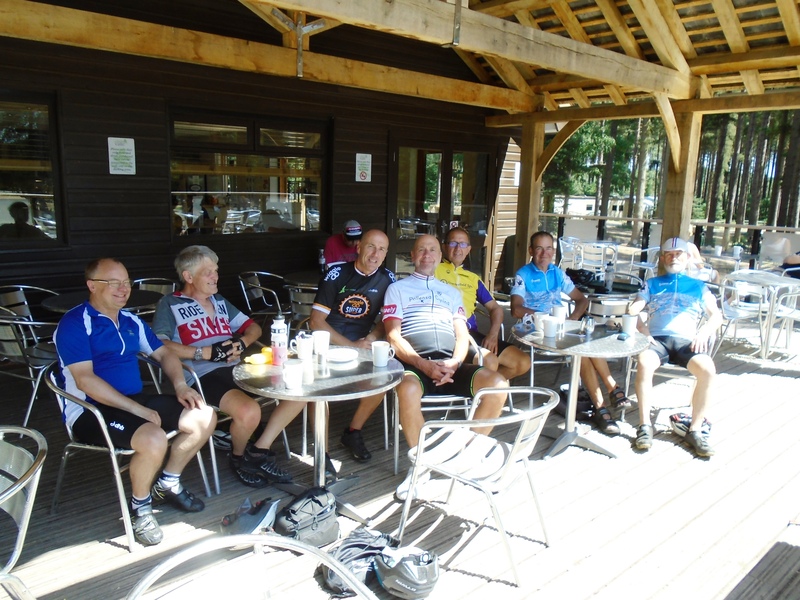 A couple of the group preferred the cafe at the information centre at Edwinstowe so we popped over there to pick them up on the ride back to Chesterfield. The morning stop was at Pleasley Pit and a few of us also stopped for ice cream at Bolsover on the way home.